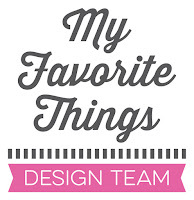 A few days ago, I got mail from the MFT graphic designer Laina Lamb. 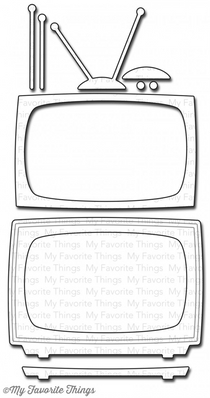 She sent me the *NEW* LLD Stay Tuned (stamps) and Television (dies) sets she designed. Wow, such a wonderful gift! I love her sets! Oh happy mail for you Francine. How fun. I just love love how you added color to this Francine. Hallo Francine! Das ist ja tolle Post! :-) Deine Karte leuchtet richtig toll! What a lucky girl you are to have these things in your collection!! 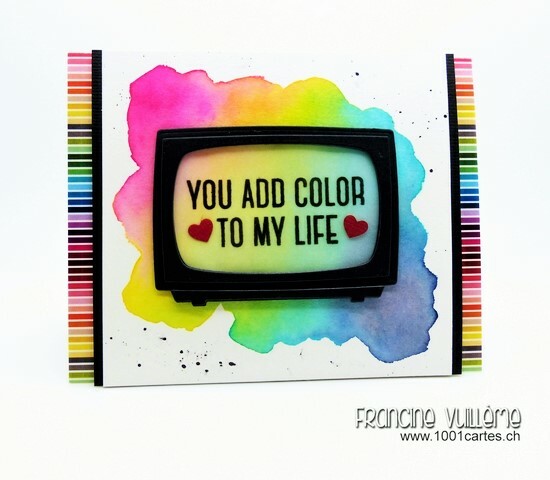 Your card is totally amazing and sweet - love the watercolor look behind the TV - so great!! !